I often hear people say link building is “hard”, “time consuming”, or “expensive”. But what if I told you that instead of spending lots of time trying to get people to link to your website, that instead you get an email in your inbox when a linking opportunity arises! 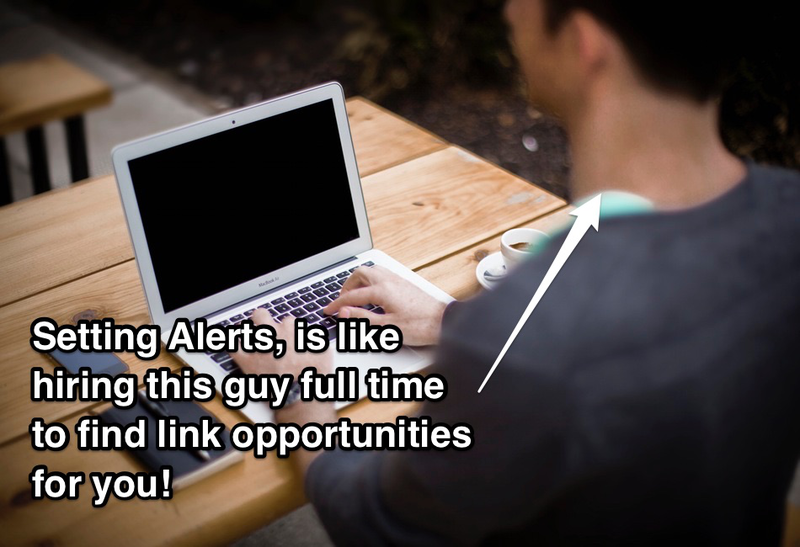 By creating alerts, it is like you hire a FREE intern who’s only job is to search the internet 24/7 looking for opportunities to harvest links. Today I will show you 4 alerts that will automatically send link opportunities to your inbox. The first alert I like to set up is for finding interview opportunities. Journalists are always looking for quality sources to use in their publications. Why can’t your client be the source? There are a few popular websites that are used to help connect journalists with sources for their stories. The free services can still have great opportunities but you may need to filter through more listings. Be sure to use the filters that the platform provides to ensure you only get alerts that would make a good opportunity. 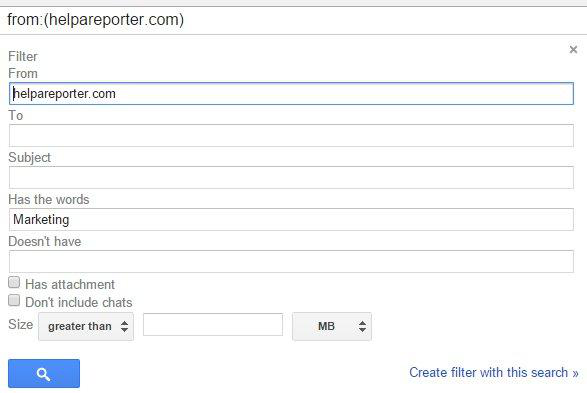 I also create a second filter within gmail so that I only see this alert if they contain specific key terms like “SEO” or “Content Marketing”. Timing is key! Journalists are looking for sources now, if you put it off a couple of days it will be too late. Create a pitch template so when an opportunity arrives you can quickly reply without spending too much time. Often times a company does not know what people are writing about them. If a journalist is talking about your company at all that is great news! If you can get a journalist who is talking about you to link to your website that is even better. Don’t be too pushy on trying to get a link from that article. It is far better to build a relationship with the writer so you can be included in the next article. If you have a service or product allowing influencers who share your customers can be great for gaining new customers while building authority back to your site at the same time. 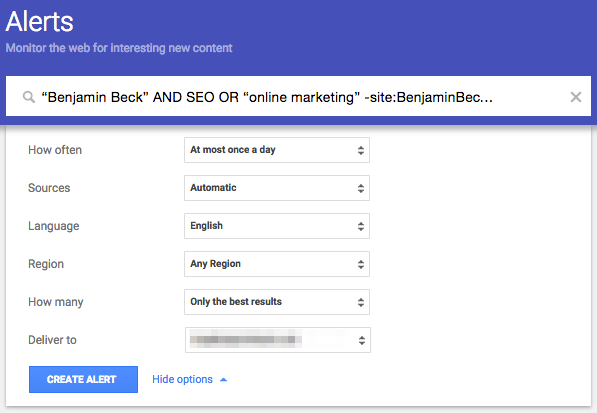 To get alerted of these opportunities test using some of these queries in a Google Alert. 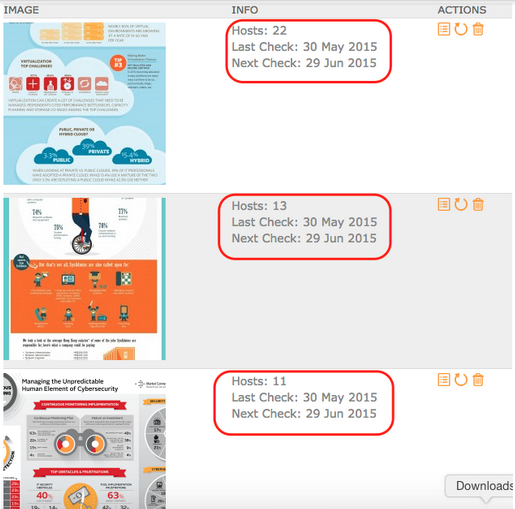 Images can be great for earning links, especially infographics. The problem is finding when people use your images without citing you as a source. To set up an alert for this I use a tool called Image Raider, which alerts you when it finds your images are used online for free. If you want an in depth tutorial on how to set up these alerts check out this post on building links with images. Thank people for using your image before asking them to link to the source. If the post is older than a year it can be hard to get. These alerts are just some of the ways of the ways that I’ve found to automate finding linkbuilding opportunities for clients. If you are interested in more ways to easily build links check out my Link Harvesting course. What alerts do you use? Please let me know in the comments. Thanks for letting me share. If you have any questions I’ll be checking back in all day. I really like the interview alerts idea. I just implemented it and already sent out a few emails to reporters. Will do. I haven’t heard anything back but I’m not sure how many emails they get about it. I’ll just keep sending them out as they come in. Thanks again! I think the interview alerts one has got to be one of the best in the ideas shown above.. Will be using it too more intensively!